Allison Transmission announced it will offer its new medium-duty, fully automatic 9-speed transmission globally and that it also developed an electric hybrid system with an extended range up to 9 miles. The announcements were made at the IAA Commercial Vehicles Show in Hanover, Germany. 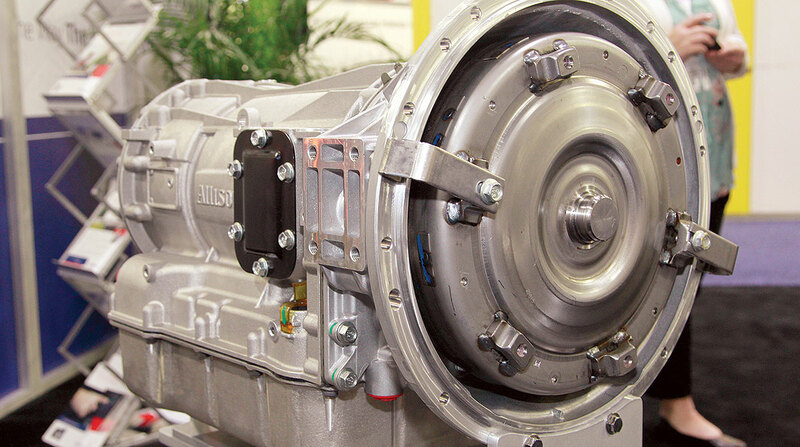 Allison’s 9-speed model leverages the durability of its 2000 Series 6-speed transmissions, which have accumulated more than 100 billion miles globally. It’s been designed to use the same vehicle manufacturer’s interfaces as its 6-speed predecessor, providing ease of integration into vehicles currently released with the Allison 2000 Series. The Allison 9-speed transmission provides significant fuel savings as the highly efficient gear train allows the torque converter to lock up early in first gear. Additionally, the 9-speed includes an optional integral engine stop-start system that provides immediate transmission engagement and vehicle hold while the engine is restarted. Providing value for a variety of applications, the 9-speed transmission is ideal for distribution trucks, rental and lease trucks, and school buses, according to the Indianapolis-based company. The electric hybrid system is ideal for transit bus and motorcoach applications. The system features zero-emissions with engine off, including on approaching, during and leaving passenger stops for a quieter and healthier environment. • Improved fuel economy by using the hybrid system to power accessory components such as air conditioning, air compressors and power steering. The system is electric-only capable, but no electric charging infrastructure is required. Battery charging is accomplished via regenerative braking and engine operation. The regenerative braking capability can extend the brake change interval by up to 350%. The two-mode split parallel architecture improves fuel economy up to 25%.